I was wondering what to bake these holidays, so I thought something chocolatey and indulge nt would do the job and my sister asked me to bake her friend a gift for her birthday, so I thought these cupcakes were the perfect treat to whip up. 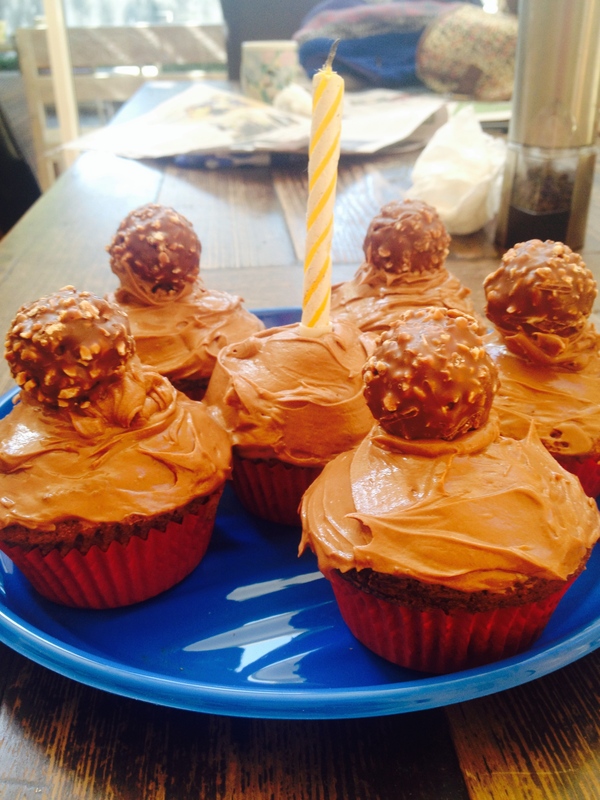 With the combination of Nutella and a decadent Ferrero Roche to top it all off, how could it go wrong? Begin by preheating your oven to 180 degrees celsius and line a muffin tray with 12 muffin cases. Next get on to creaming the butter and the sugar until nice and smooth. Add the eggs, one by one, mixing briefly after each addition.Then gradually beat in the flour, cinnamon, baking powder and the milk. Now evenly distribute the butter into the muffin cases. And here’s for the fun part: Heat the Nutella for about 20 seconds in the microwave. Then add a teaspoon of Nutella into each muffin case and with a skewer swirl the mixture. 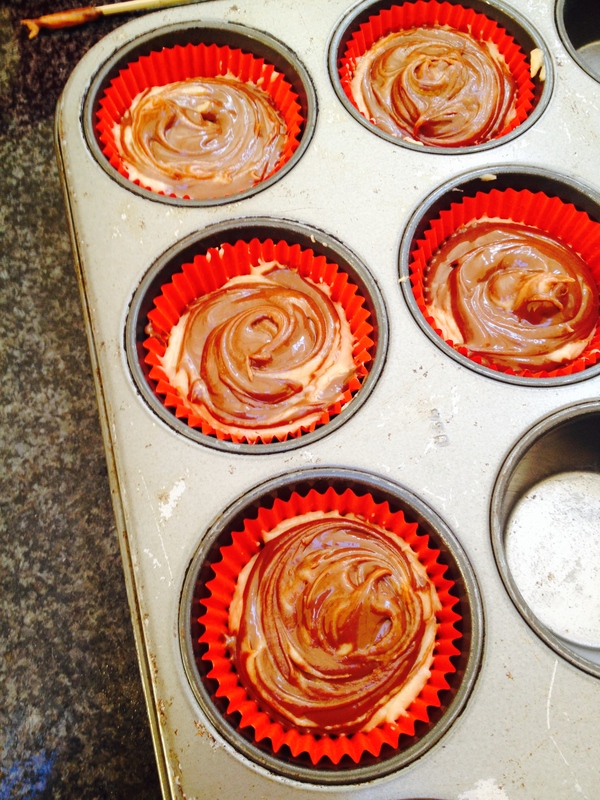 This will not only taste incredible but it will give the cupcakes a lovely marbling. Place the cupcakes in the oven for 20-25 minutes and in the meantime start on the icing which involves yes you’ve guessed it… NUTELLA! 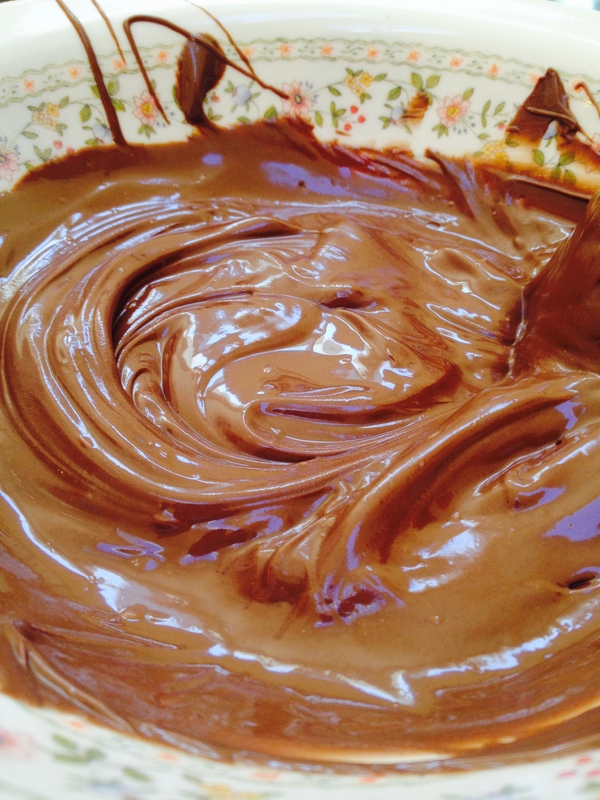 Melt some chocolate in the microwave or over the stove and then transfer into a mixing bowl. Once the chocolate has cooled a little, add the double cream, butter and vanilla extract and beat well. Then just beat in the nutella until the icing is smooth creamy and ready to devour. Place the icing in the fridge until the cupcakes come out of the oven and have cooled for a good 10 minutes. Now all that’s left to do is ice the cupcakes.. you can do this with a piping bag or for the rustic look (which I’ve gone for) just spread with a knife. 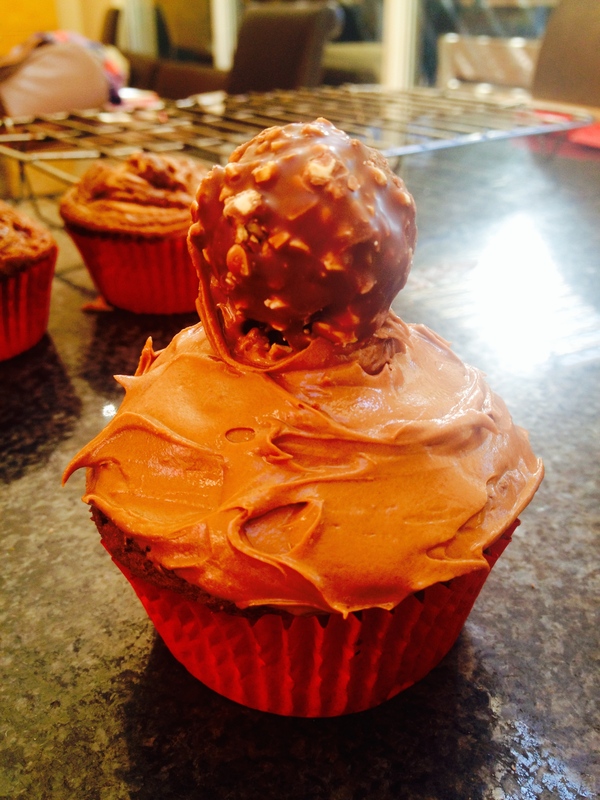 Finally add a Ferrero Roche for that finishing touch and I guarantee you won’t be able to resist! 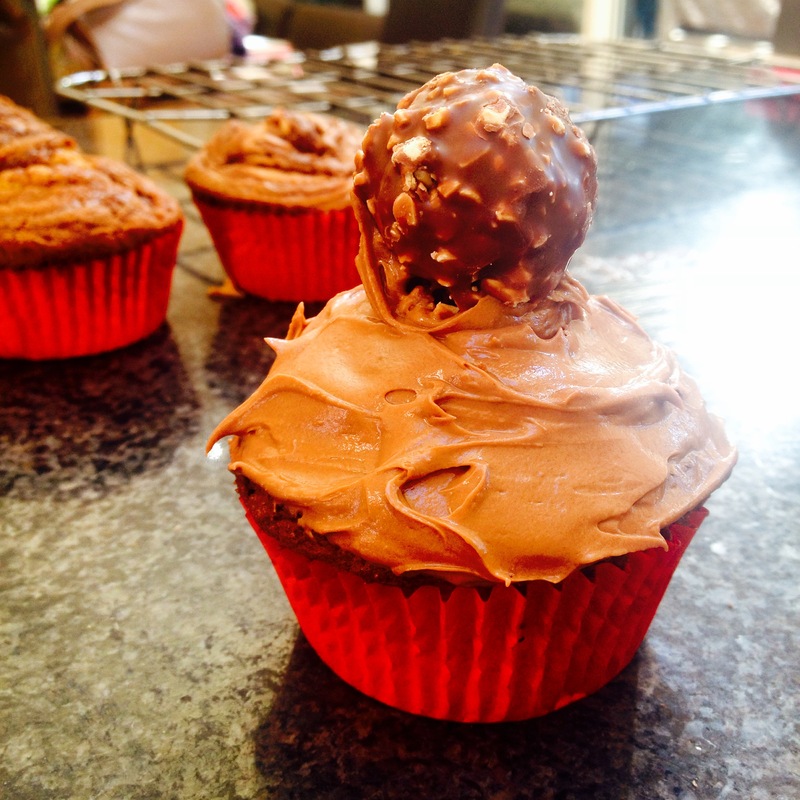 & Don’t forget 12 Ferrero Roche to decorate. And that’s the recipe for today. They are so delicious and so naughty that you just can’t help yourself. It’s holidays and you are free, so eat up and enjoy yourselves!